Muchenje Safari Lodge, on the border of the renowned Chobe National Park, is set on an escarpment edge with breathtaking views over the Caprivi Strip. Muchenje is the only lodge to be found in this area, offering a unique wilderness experience and uninhibited game viewing. Muchenje Safari Lodge bordering the Chobe National Park, is set on an escarpment edge and has been designed to take full advantage of the breathtaking views over the Caprivi Strip. The Chobe National Park, only an hour by road from the Victoria Falls, is on Botswana's northern border and lies on the banks of the Chobe River just above its confluence with the Zambezi. Chobe, famous for its large elephant and buffalo herds has vegetation that ranges from the dense riverine and grass floodplains of the north to teak forests and mopani woodlands, with scattered pans and water holes in the south. Muchenje is the only lodge to be found in this area, offering a unique wilderness experience and uninhabited game viewing. Muchenje accommodates only 20 guests in intimate exclusivity. The ten twin-bedded thatched chalets, all with en-suite facilities, are sited on the escarpment edge all with their own balcony and unique view. 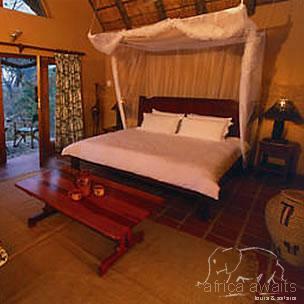 Each chalet is exquisitely furnished and great care has been taken to create a true African 'ambience'. The thatched main lodge includes a dining area, lounge, bar, reception, shop and game viewing platform overlooking the waterhole. The lodge's swimming pool, built amongst natural rock formations, takes full advantage of the African vista and provides a tranquil setting for guests to relax during the heat of the day. Muchenje prides itself on the quality of its staff and the personalised, friendly attention that the discerning traveller requires. Your stay at Muchenje is inclusive of accommodation, all meals, scheduled game viewing activities, park entrance fees and Government Sales Tax. 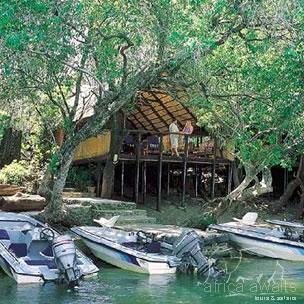 Muchenje Safari Lodge offers the most diversive Safari activities in the entire Chobe region. Our qualified and experienced professional guides will give you a glimpse into Africa's very soul. Game Drives: Probably as comprehensive as you can get, taken in open Safari vehicles where safety is paramount. Imagine the explosive tranquility of hundreds of elephant surrounding you, or the excitement of a lion kill., we will intrude into their world whilst giving the respect they deserve. 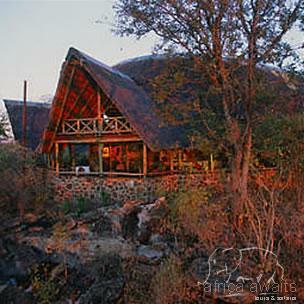 With your holiday, safari or business trip from in to Muchenje Safari Lodge in Botswana.